Genuine, classic, southern Italian espresso Napoletano. 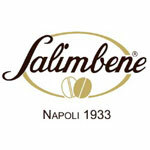 Already in 1933 Caffe Salimbene was founded in Naples by Gennaro Salimbene. It stands for tradition of the typical Neapolitan espresso and now lives in the third generation. 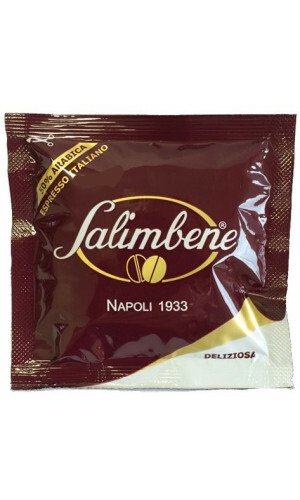 Your knowledge of the taste and the special toasting effect make Salimbene's coffee perfect for lovers of the powerful, intense espressogenous. 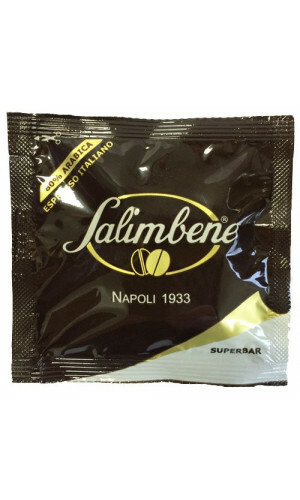 The experience of the Salimbene family, which produces Italian espresso coffee for the best bars in Naples since 1933, enclosed in a pod. 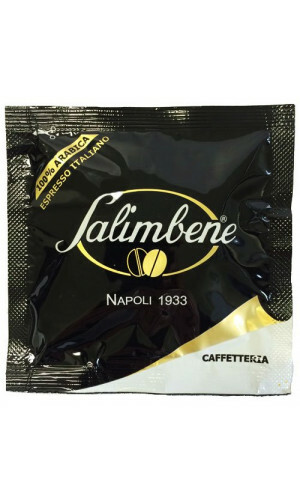 Salimbene blends will give you the opportunity to enjoy an excellent espresso at home. Caffetteria 100% is the line for coffee purists, obtained by five selected components of Arabica species coffee from Central and South America and East Africa. Its intense toasted aroma is accompanied by a combination of slightly fruity flavours in which you can perceive notes of myrtle. "Superbar ESE Pods" is a sweet blend Sweet, soft and velvety in taste with reddish-hazel coloured cream. The same blend that they supply to bars that ask us the real Neapolitan coffee and Italian espresso. The Pod has all the experience needed to get a great cup of Italian espresso coffee: perfect dosing, grinding and pressing. The “Deliziosa” Blend has a strong taste and a full body with a hazel colour cream. Inside the pod there is the “Deliziosa” coffee blend. The same blend that they supply to bars that ask us a stronger character.